The National Police Violence Map tracks violence in your city and surrounding areas. 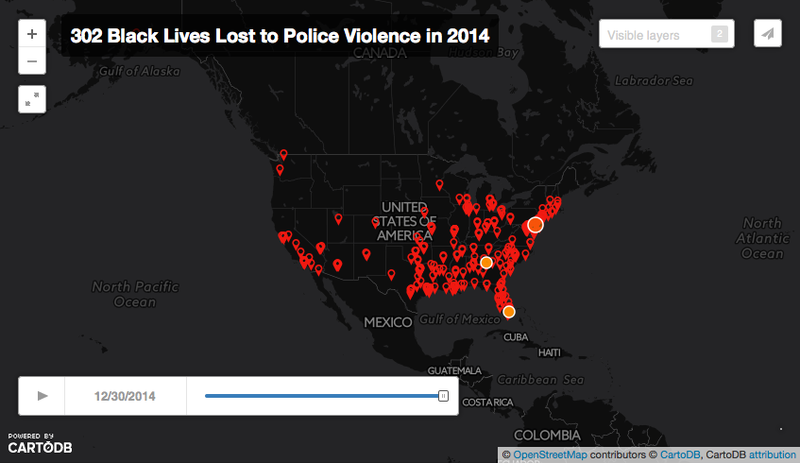 At least 1175 people were killed by police in 2014. 302 (26%) were black. Black people were killed by police at 2x the rate of their representation in the general population. At least 56 unarmed black people were killed by police, more than all other races combined. Get the facts about police violence in your community to make the case for change.